What drew me to these particular treats was that they are simply freeze dried meat. 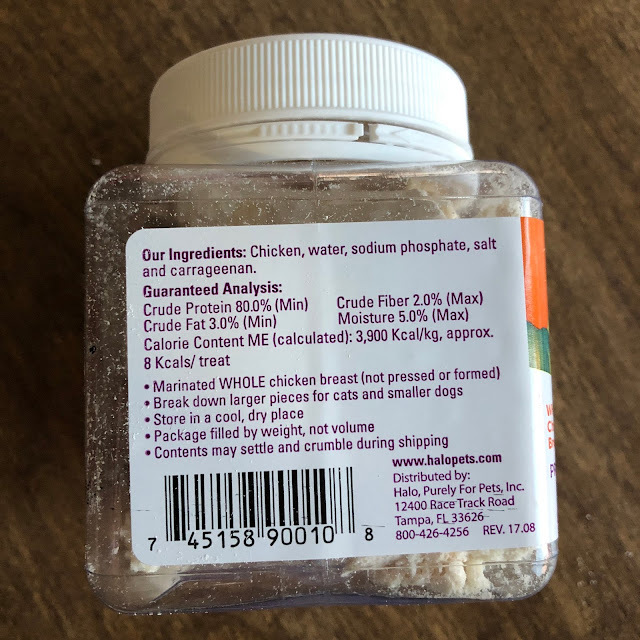 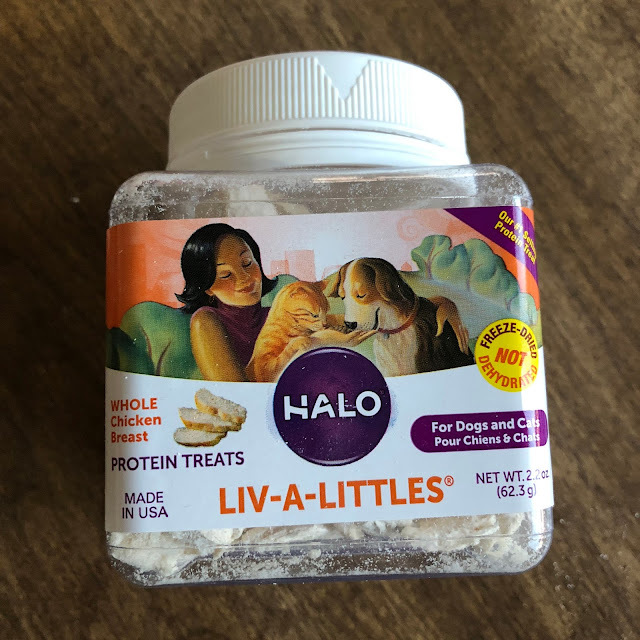 Chicken is a great reward for both our pets, and the fact that these treats are safe for both of them to eat is a bonus as well. 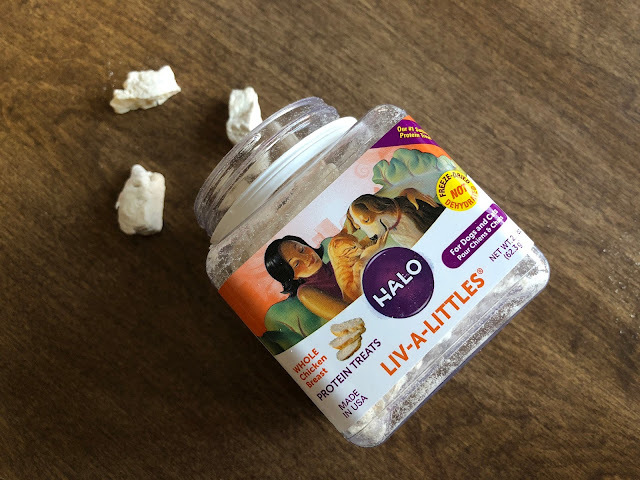 These Liv-a-Littles from Halo are the perfect size for small-medium pets, and can very easily be broken up even smaller. 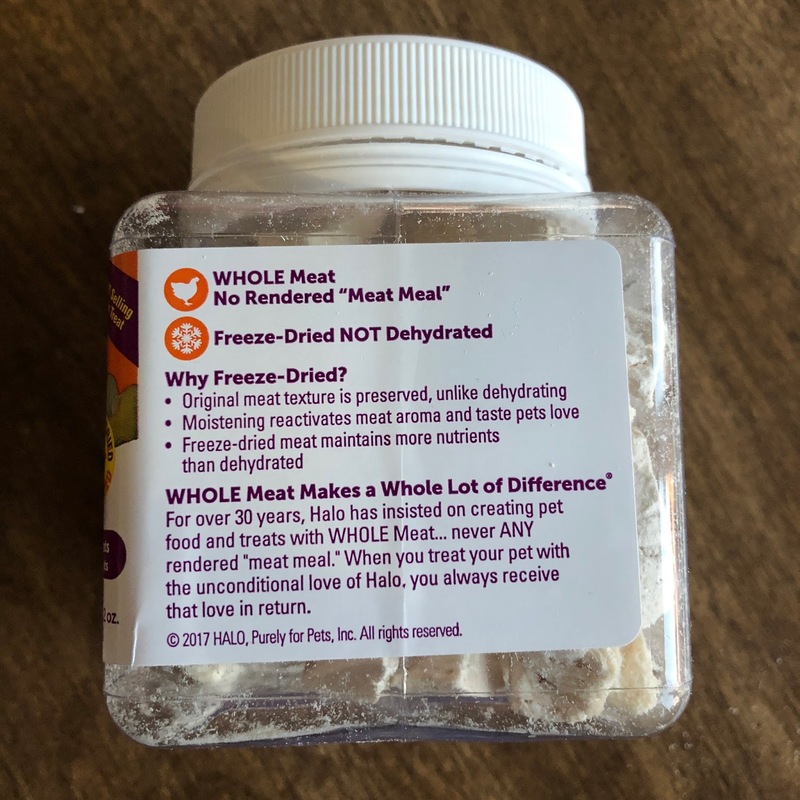 I also love the unique plastic jar container that (so far) cannot be chewed into by my furry little partners in crime. 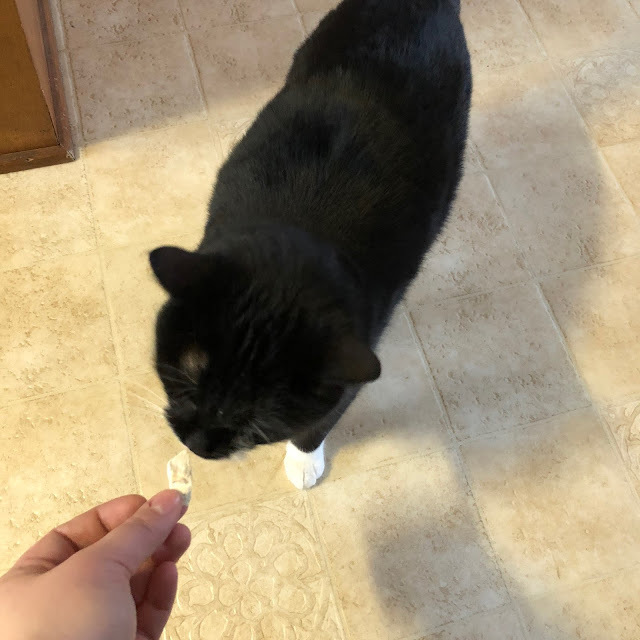 Kitty isn't a huge treat fanatic, but seems to enjoy the smell of these and will eat them after playing for a while. 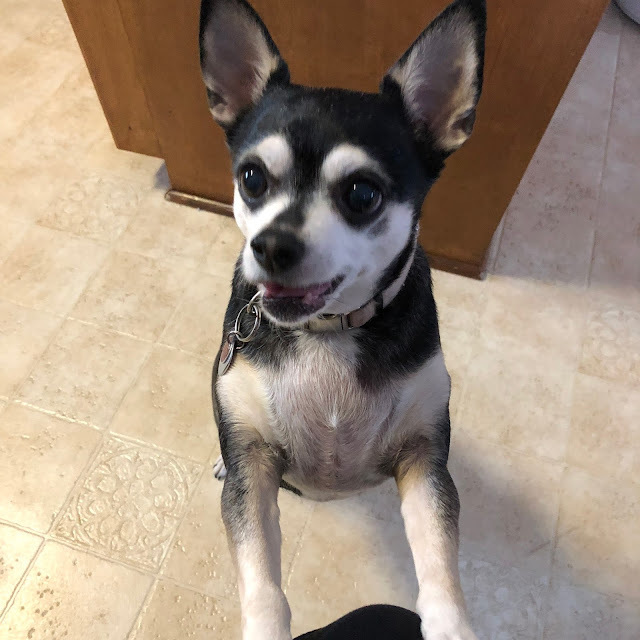 Venus, on the other hand, is always begging for more! You can pick up a jar of Halo Liv-a-Littles for your furry companion at Chewy!